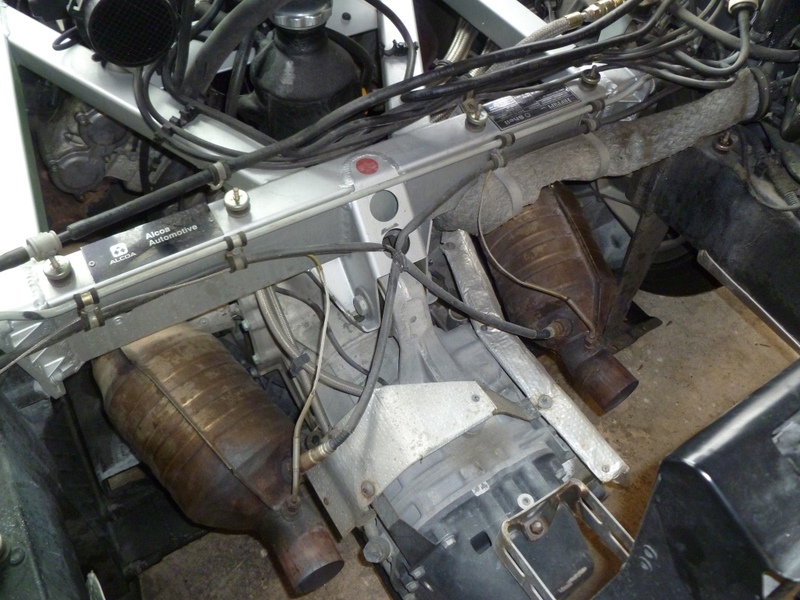 The 360 was offered with the option of a “Racing” exhaust system, the code was EXA1 and it cost an additional £3,113.75. 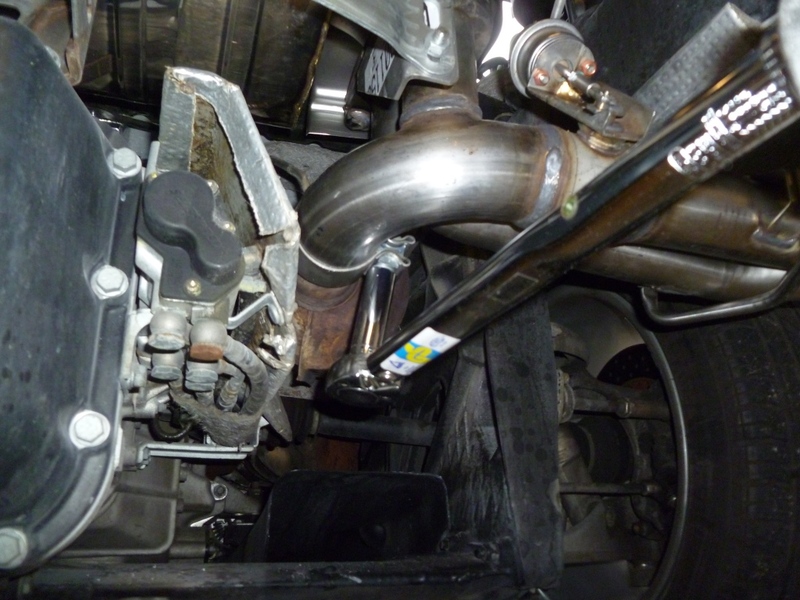 This exhaust system was subsequently fitted to the Challenge Stradale and gives the trademark “bark” when accelerating hard. Very few 360s were fitted with this option, however a number of franchised dealers in the USA have stock and are offering these relatively cheaply. If I still had a 360 I would have one of these fitted to my car. My friend Valerio does have a 360 and imported one of these systems back to the UK – we spent yesterday fitting it to his car. The kit is very comprehensive and even includes a pair of blank ECUs (these appear to be for Federal spec cars that need different mapping to pass tough emissions regulations). Euro cars don’t need these so they could be sold on or even flashed with the CS maps. It should be noted that there are different kits for Modena and Spider cars – the only difference is the shape of the heat shield that goes on the engine lid. 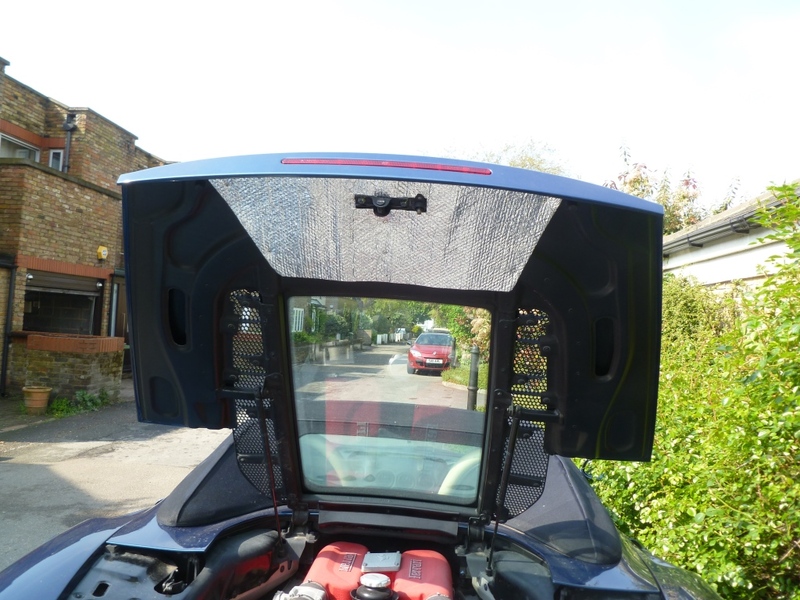 The picture below shows a Coupe kit although we fitted it to a Spider without any issues. First of all we removed the rear grill and then took off the bumper. 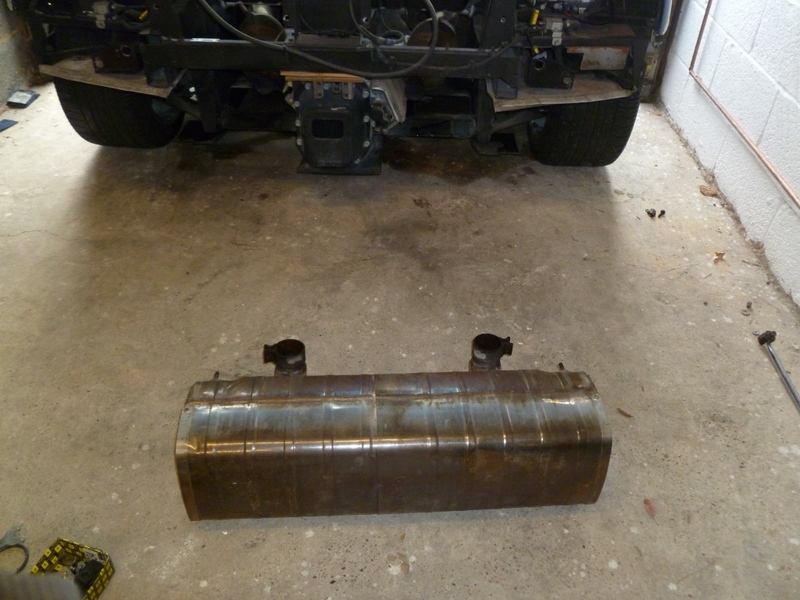 Next we took off the exhaust tips – they are held in place with four bolts. 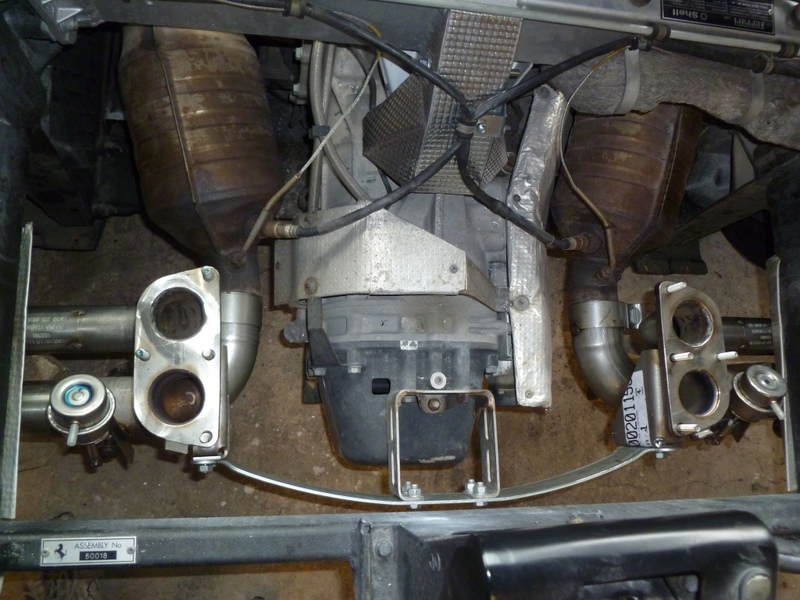 Next the mounting bracket was removed to give enough space to slide the silencer off the cats. Note we supported the silencer with some cardboard on top of the gearbox mount in order to stop it hanging off the cats/headers. The original silencer is heavy. I have done enough of these to be able to fit and remove them on my own but if you are doing this for the first time get someone to help you. The box has to be slid backwards off the cats whilst at the same time tilting it forward. We had to remove the air intake assembly to give us access to the gear box mount. The kit comes with a special heat shield to protect the gearbox mount. 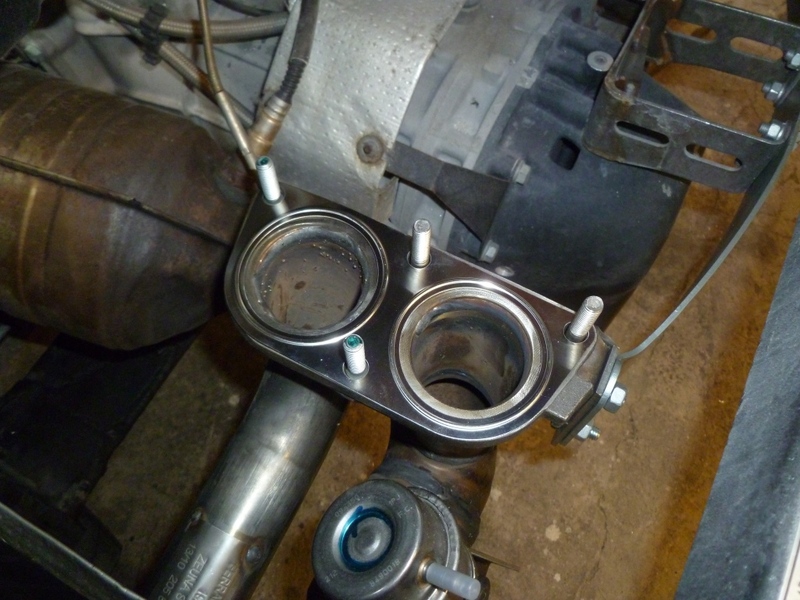 It is fixed by drilling two holes in the frame which Rivnuts are then fitted to. We didn’t have a Rivnut gun so used a length of M6 threaded bar to hold everything in place for the time being. 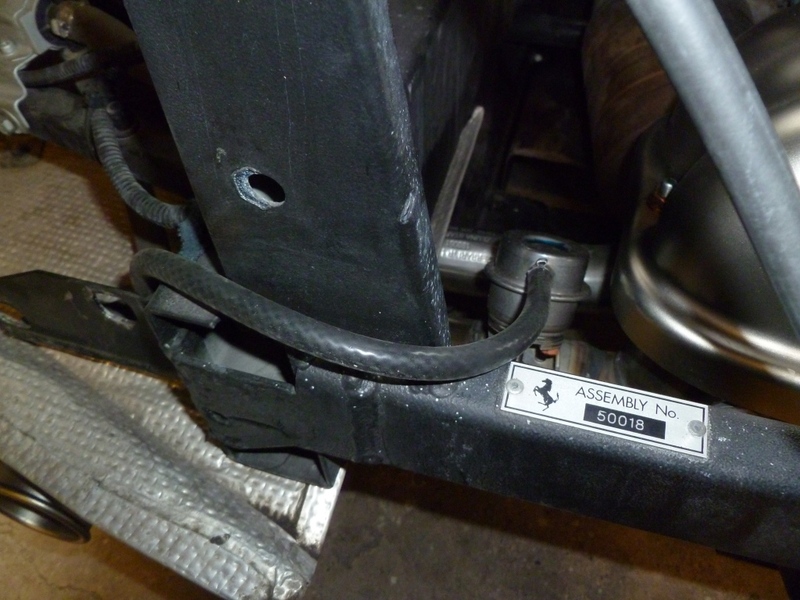 The Lambda sensor cables attach to a natty bracket also supplied in the kit. 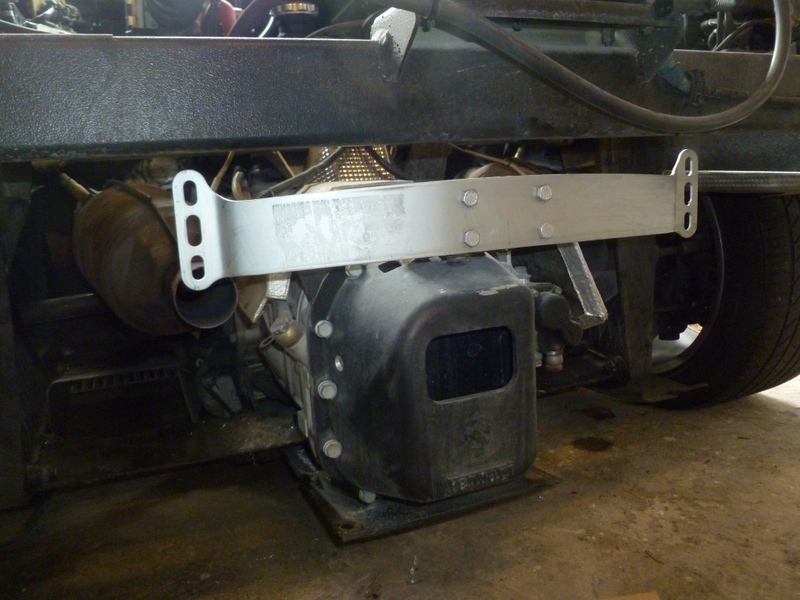 The new mounting bracket was then installed, note the orientation. 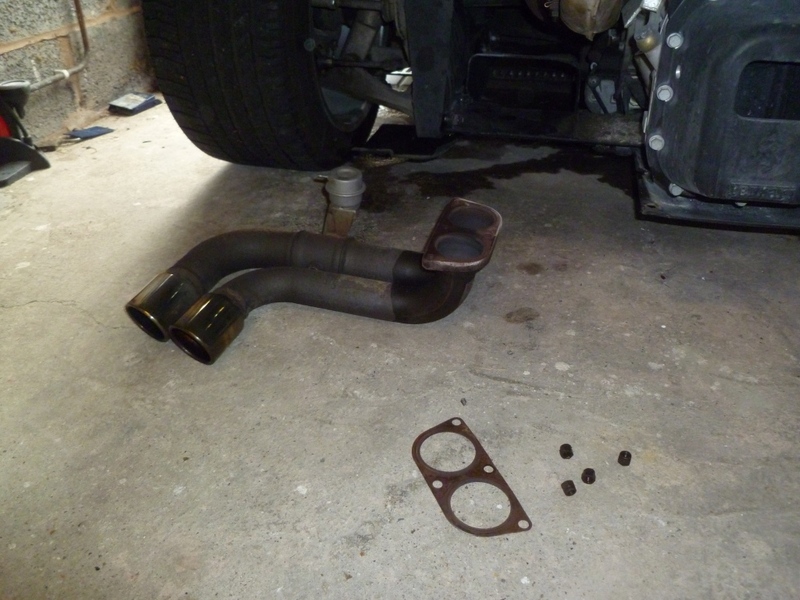 Now the new exhaust tips can be slid onto the cats and attached to the mounting brackets. We left the bolts loose in order to align everything later. The air box was next to go back on. The kit comes with fresh gaskets. The silencer was then bolted to the tips. Note that you have to leave one bolt off each side (in order to get the heat shield on later). We spent quite a bit of time getting the alignment right. We measured diagonally from the chassis to the tips in order to get the system level. 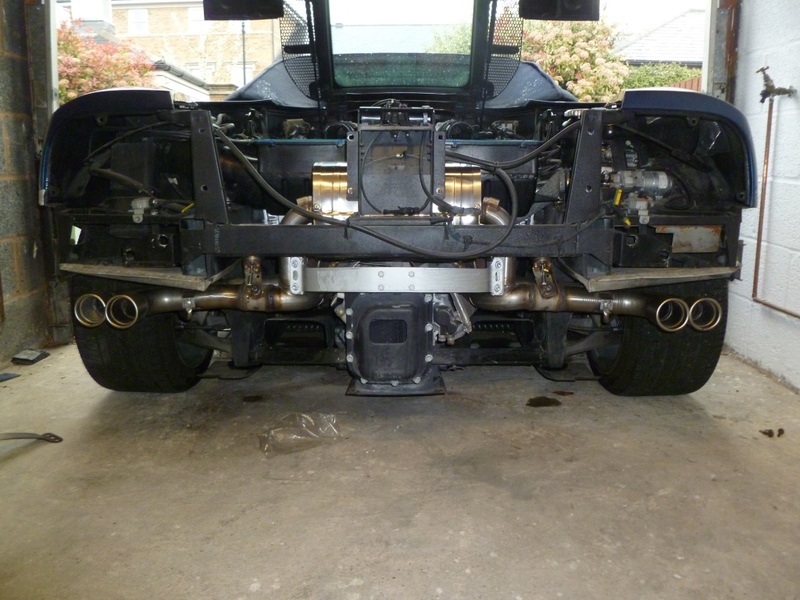 We also temporarily fitted the bumper to check the tips sat in the holes evenly. Finally we made sure the system was square when looking from above. 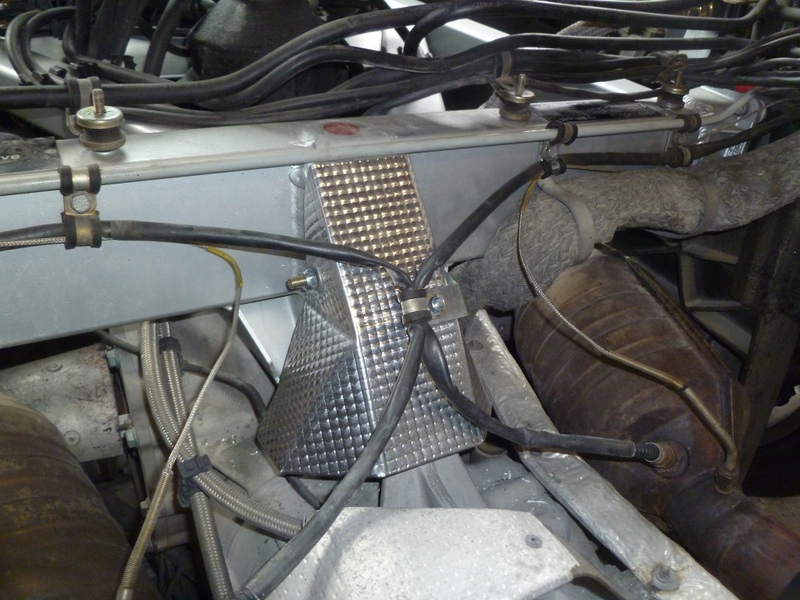 The heat shields were then fitted (fit the top bolts first). Now we were happy with the alignment we able to torque up the clamps holding the system to the cats (43Nm). The kit came with longer vacuum hoses to control the valves. 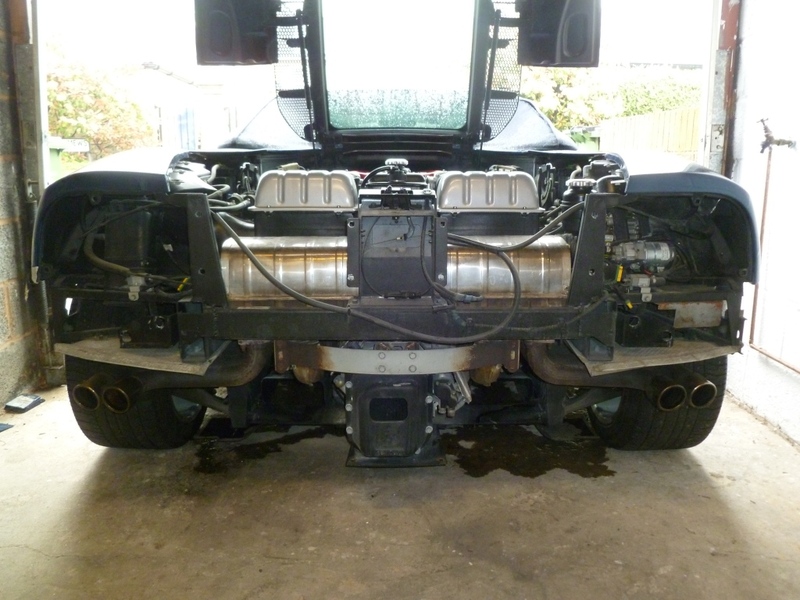 Finally we we able to refit the bumper, grill and airbox covers. We started the car up and checked for any gas leaks at the joints. The heat shield was the last thing to go on – it is riveted to the lid. After a short test run, the system was already starting to colour up nicely. Did you use anti-seize on the threads? Thanks again for great how-to’s. Hi Alan – yes we put a dab of copper grease on the threads. Yes and no. Yes in the way that it operates but no in that the dimensions are different (hence why the 430 exhaust needs to be cut and welded to fit a 360). 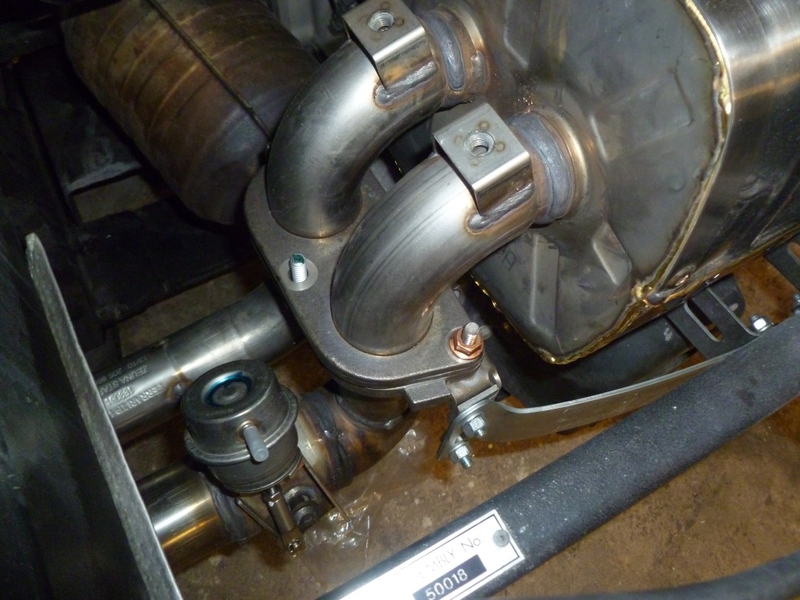 Way back in the day, you posted info on how to convert the 430 exhaust to fit the 360 and I had a shop do exactly that. Got an used F430 exhaust and tips, valves, etc. for $700. At the time, the cost to modify and fit to car was good deal, compared to Tubi, Capristo, et al. My cost after labor to modify and install, came to just a shade over $1700. For that money now, one can get a 360 racing exhaust from a Ferrari dealer here in US and you get the ECUs, new mounting hardware, etc. Bottom line, these exhaust systems that the US dealers are selling are a smoking deal. I totally agree – these crop of racing exhausts sold by US dealers represents incredible value for money and offers one of the best sounding systems for a 360. Just thought I would update a bit. I have the 430 exhaust converted to fit the 360 and it sounds great. I have access to one of those 360 racing exhausts kits and I removed the 430 silencer and installed the 360 racing exhaust silencer … sounds exactly the same. Me thinks the 360 racing exhaust silencer and the F430 silencer are the same. They have different part numbers, but they look and fit exactly the same. 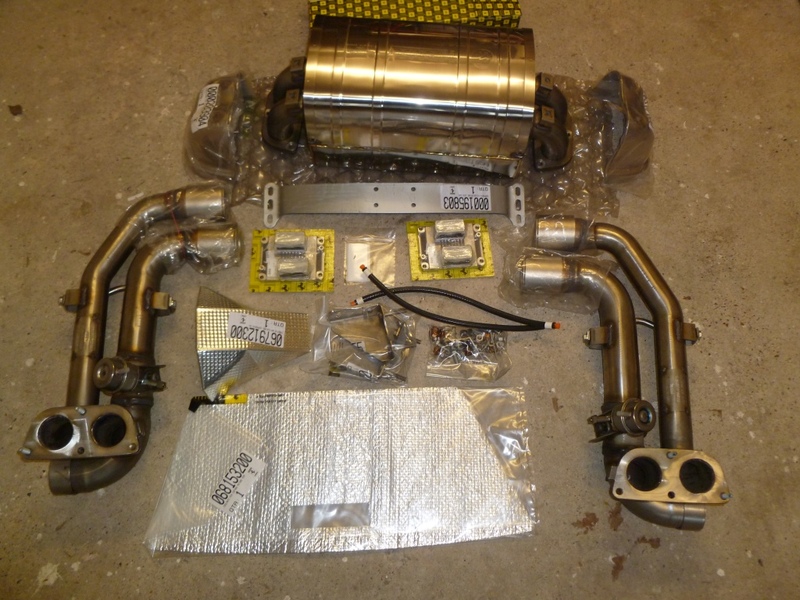 So, if someone cannot get one of the fire sale 360 racing exhaust systems, your instructions on converting an used F430 system to fit the 360 is still a very viable solution that will yield the same end results as the 360 racing exhaust. Thanks for the info Steve – most useful. I too installed the Racing Exhaust several weeks back on my 360 Spider. 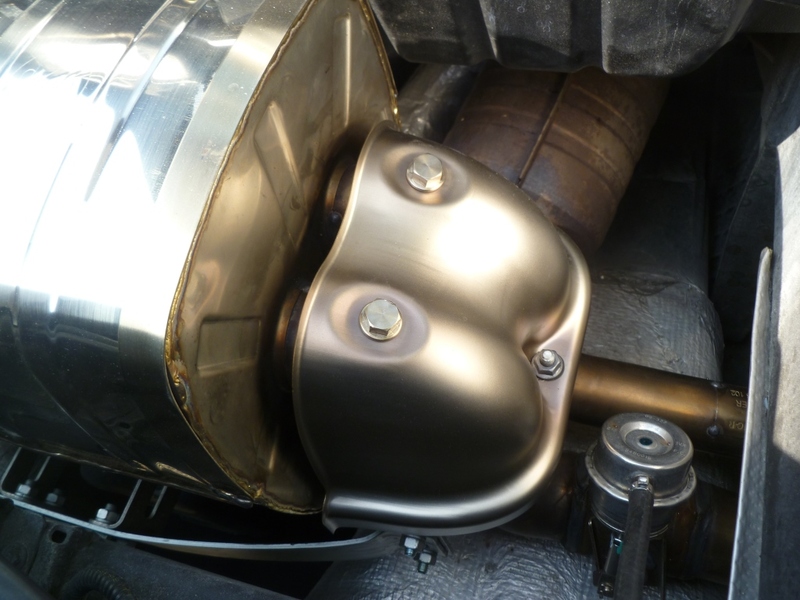 As you indicate and photograph, the kit comes with that special heat shield to protect the gearbox mount as well as the heat shield for the engine bay lid… During the installation, was there any hesitation on your part if you really needed to install them? Especially the shield to protect the gearbox mount? I ask as hundreds of aftermarket exhaust systems are installed on 360’s/430’s every year and I don’t believe those kits come with these shields… If one has the rear challenge grill, I wonder how much more heat the Racing Exhaust creates than that of the stock exhaust, or any other aftermarket exhausts for that matter…. 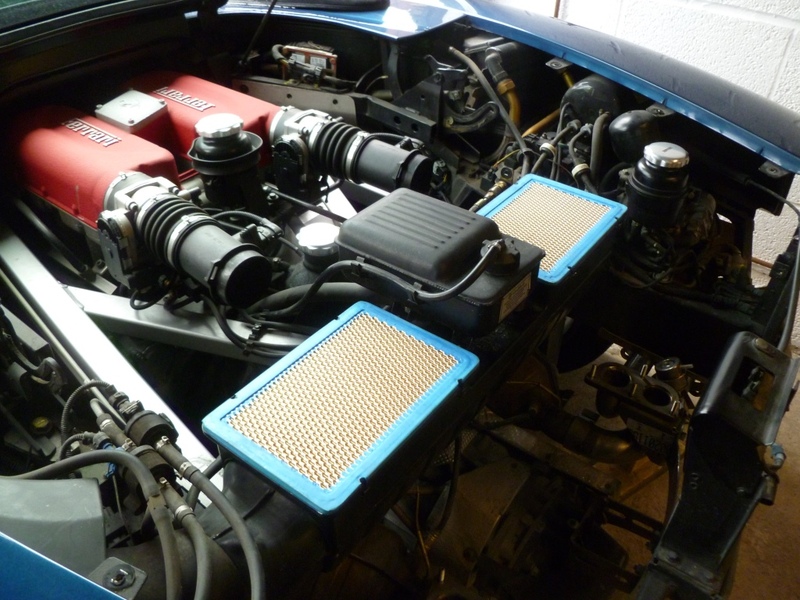 Installing both heat shields because Ferrari provided them and they know best is the obvious answer, and I turn you installed them, so I assume you agree with the need to do so. Thank you for elaborating on the topic. Clearly there are lots of cars running without these heat shields so it’s not going to be a big problem. I did install them thought because a) They were there and b) they offer a degree of protection. 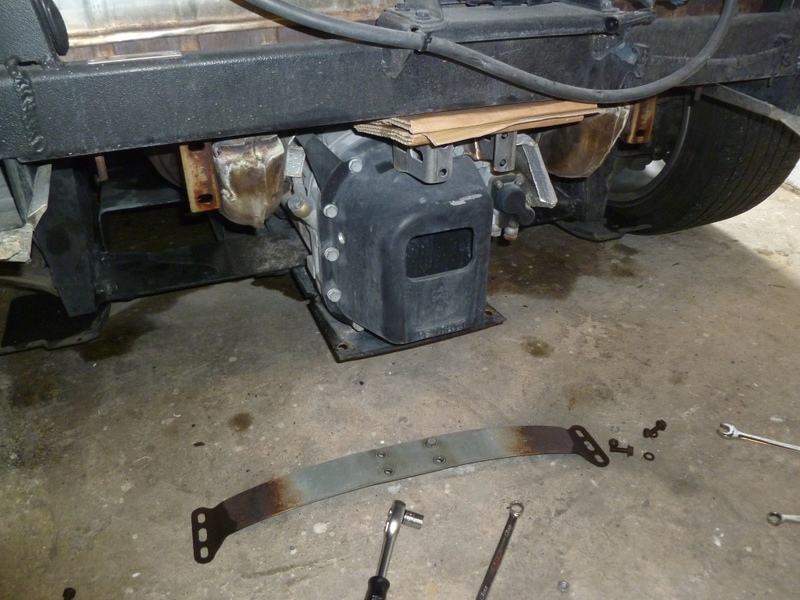 The gearbox mounts are prone to failure so anything that can help with this has to be a good thing. Firstly, I’m 99% sure the OEM tips will fit onto the capristo silencer. However, without knowing what the internals of the capristo silencer look like it is hard to say if a) it will bring the noise levels down and b) you risk any damage by doing so. I suspect that capristo channel the gasses equally into both tips – if this was the case then it shouldn’t be a problem to shut half of them off. Perhaps you could try and measure the flow out of each tip to see? I too whole heartedly recommend these while you can still get them! …Having experienced 5 different systems on my 360 over the past decade I can concur that this system is not only one of the best sounding (if not THE best sounding), its one of the easiest to live with [quiet at low rev’s, angry at high revs and WOT). Its also very well made and looks superb too. It may not be the lightest (that goes to the Ti systems and also the 360 Challenge real race car system which is just as light as a Timate) but overall it looks brilliant, sounds brilliant and is very very well made. Its worth noting that depending on the type of Racing Exhaust system (coupe vs spider) that you get when you order it is slightly different from a parts perspective bundle, not just the ECU’s are different but a few other bits too. 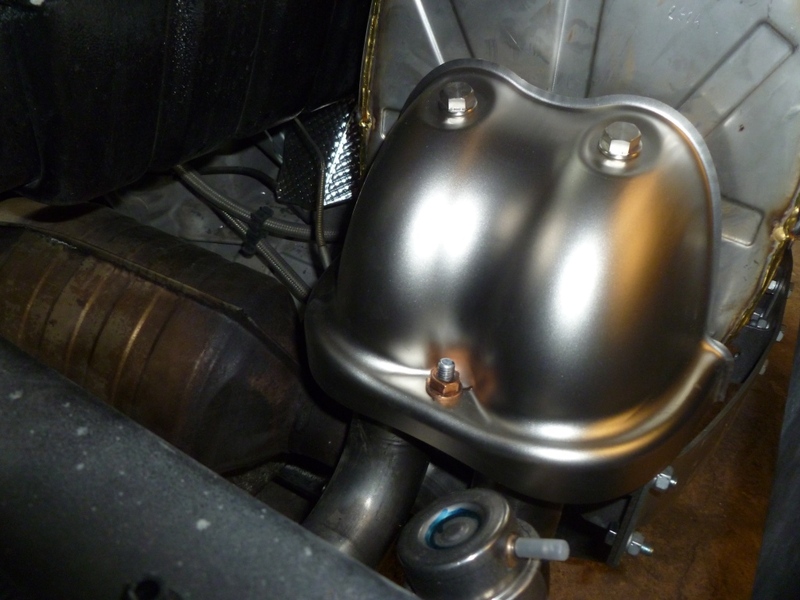 … For instance the heat shield for the engine lid is slightly different in the kit I have (not such a problem). The best bit was that my kit came with a free pair of o2 sensors, part numbers 199612 too. Which are worth another couple of hundred pounds on their own so make the deal even sweeter, not sure if yours came with them too as I didn’t see you specify this?! Can you clarify if this was the case? Note: When ordering from the US also ensure they ship the unit as DAP (technical shipping term) and write on the shippers invoice ‘shipped as DAP’ otherwise you’ll pay some 25% more customs tax than you really should. This little tip can save another hundred quid of importing one into the UK…. Hi Trev – thanks for the comment and advice, especially out the DAP shipping. 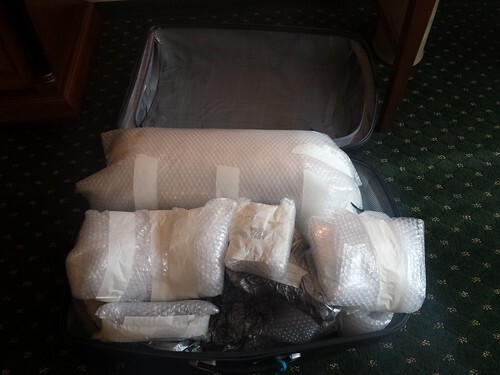 Another way of getting the exhaust into the UK cheaply is to bring it over in a couple of suitcases! That is funny — reminds me of the time I went back to England with a set of AllClad cookware in my suitcase for my daughter’s house warming present. Boy was it heavy. Really helpful advice here. Does anyone have a contact for a U.S. or uk dealer who might be selling off these systems. I have been offered a CS box but no pipes at a good price but am a tad reluctant in case I can’t find the remaining parts. Also will sports cats fit with this system and would it be beneficial? is the Exhaust Kit also available in Germany. Do you know what it cost and where to buy? Hi Chris. I don’t know – sorry. I will talk with the dealer. 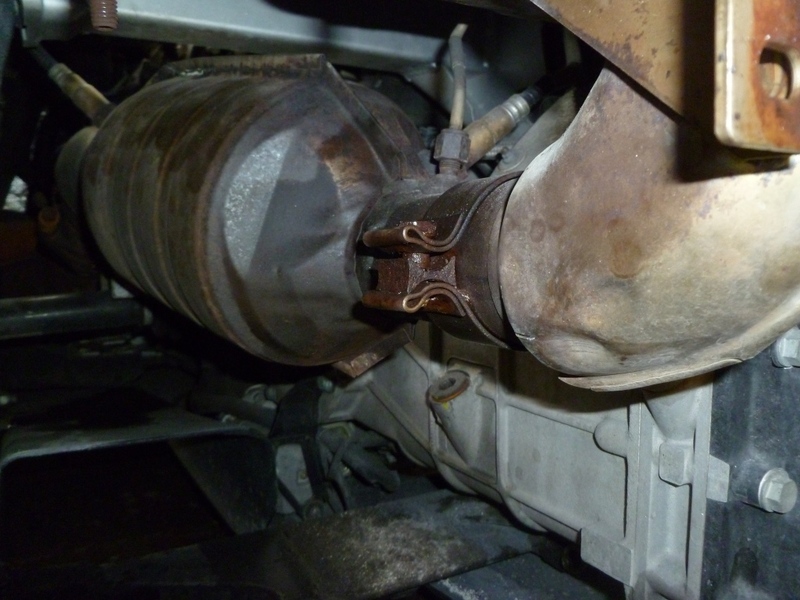 Do you have a contact in the US or in UK, who sells the racing exhaust? I’m sorry I don’t. Last year pretty much every official Ferrari dealer in the USA had stock but I would guess they’d be sold by now. So, was it a Problem to let them ship it to Europe? Can you tell me the Price of the Kit? No problem getting shipping to the UK. I don’t know the current prices – I suggest you contact a dealer in the USA. I am about to put on a CS exhaust. I was wondering did you install the new ecu? If you didn’t, will the stock modena ecu be able to control the valve opening of the exhaust at high rpm? Thanks for the feedback, just one more question. 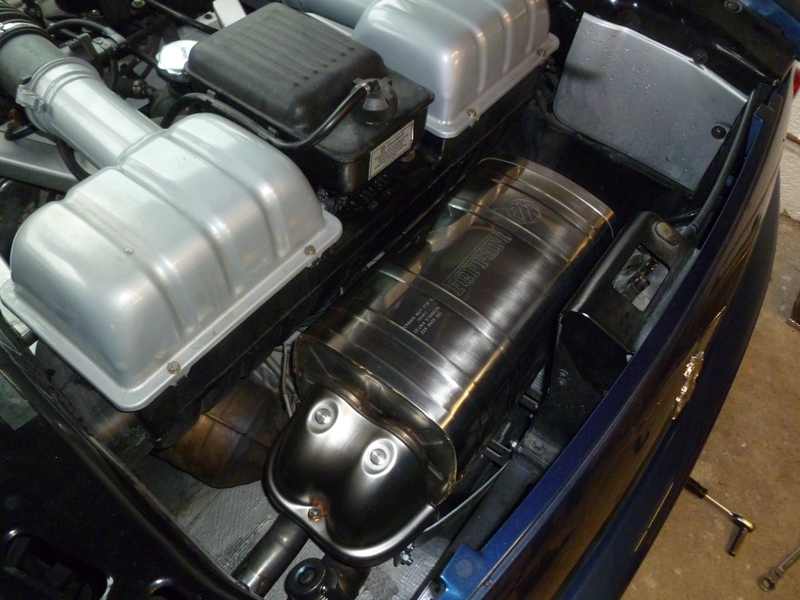 If you recall, did it sound any different compared to the 430 exhaust conversion for the 360 you did earlier?